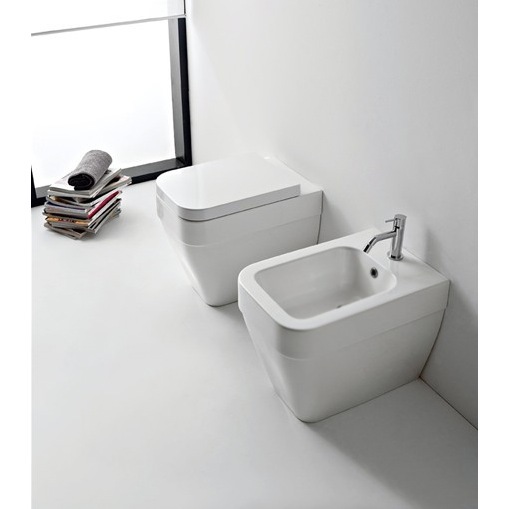 Contemporary and modern round toilet made out of ceramic in a white finish. This unique toilet fits in well in any bathroom. Requires Geberit concealed tank and carrier (ref. 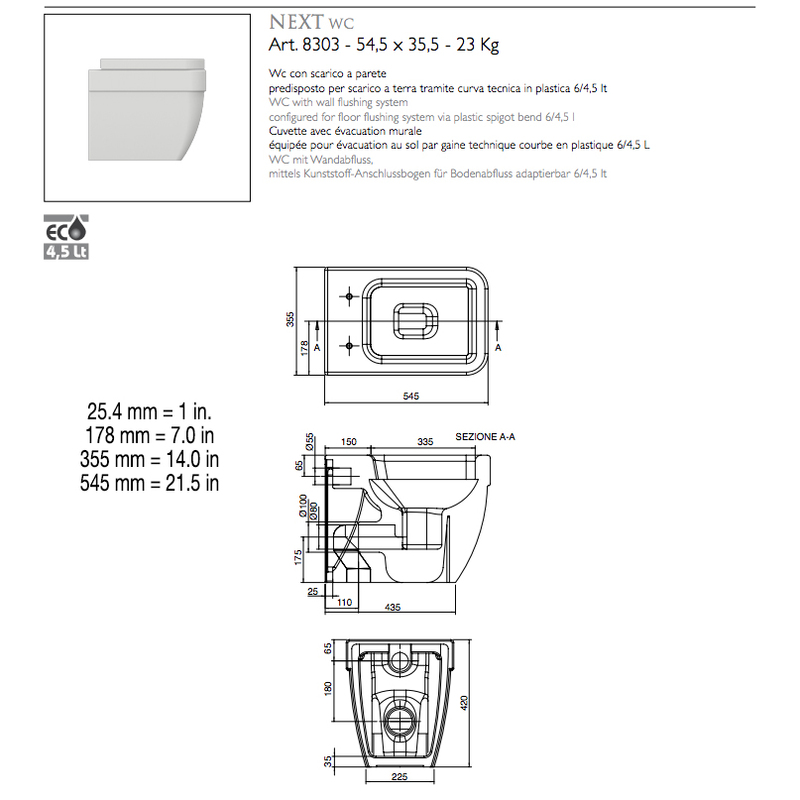 109.304.00.5) and Geberit white sampa flush plate (ref. 115. 770.11.5).